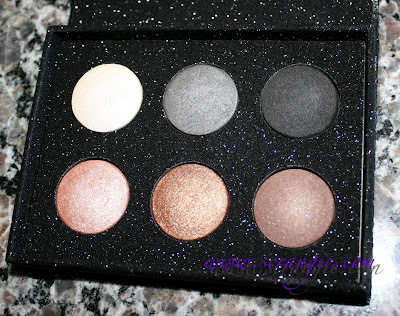 This is one gorgeous looking palette. 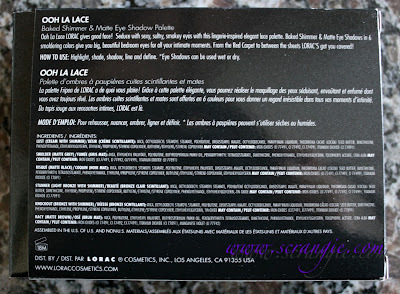 LORAC sure knows how to do attractive packaging, don't they? First snakeskin, then holo, now glittery lace? Whoever is in charge of their palette designs should win some sort of gorgeous packaging award. 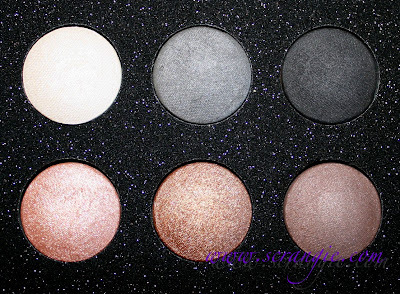 The eyeshadows inside the sparkly lace palette are pretty nice, too. The palette. 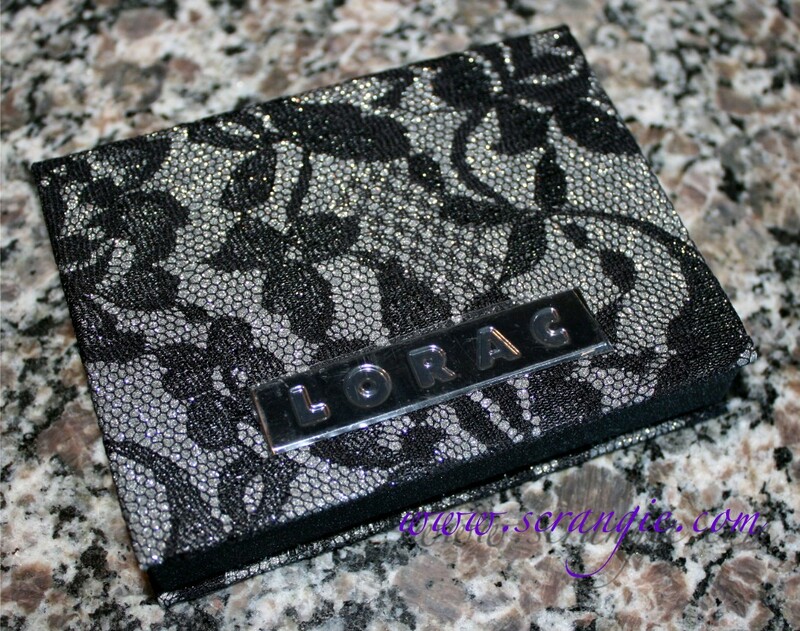 Very alluring black lace over a grey sparkle material. If you enlarge the picture, you can get a better view of the sparkly material. And whoops, forgot to take the protective plastic off the chrome name plate! Even the inside is sparkly! It's a rough, kinda carbon-looking material that lights up with hundreds of little sparkles when the light hits it. Ingredients and shadow names. Interesting feature: The shadow formula contains shea butter. Flash / No Flash. Left to right, starting on the top row: Lust, Smolder, Risqué, Stunner, Knockout, Racy. 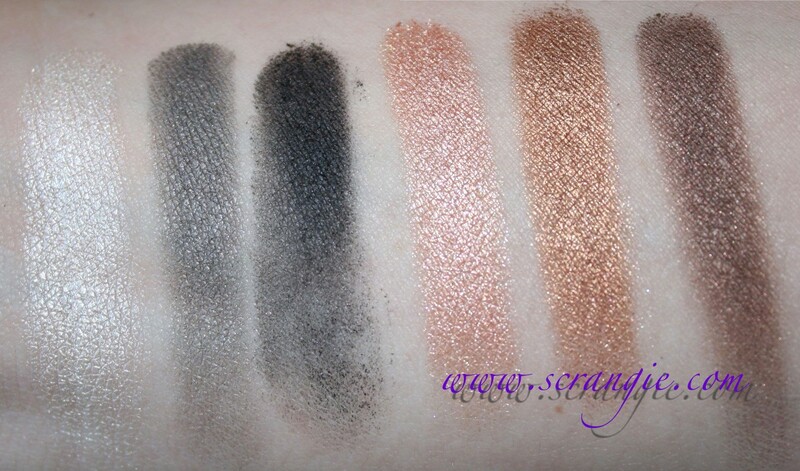 Swatched over bare skin, with flash and without: Lust, Smolder, Risqué, Stunner, Knockout, Racy. The top three shades (white, grey, black) are described as mattes, but they're actually subtle shimmers. I've used each of the colors at least once and these are my observations. 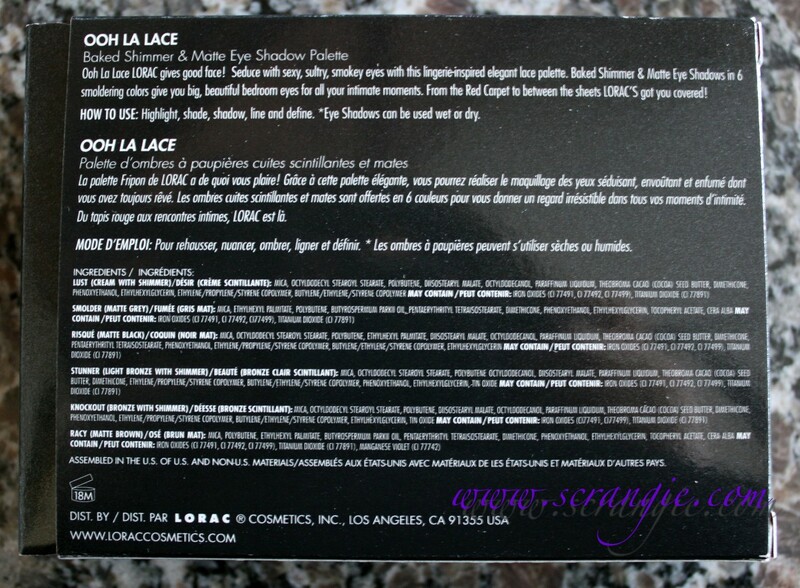 LORAC's baked shadow formula is fantastic, these are no exception. Absolutely stunning packaging. Makes me want to display it. Hidden magnetic closure keeps the palette secure. 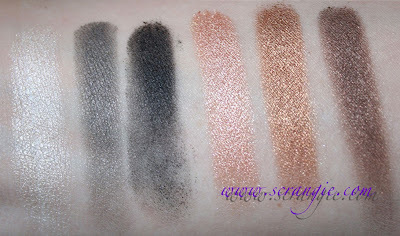 Easy trios for a grey or bronze smoky eye. Nice luminous effect to the shadows. Slightly bland color selection. It goes with the theme of the palette, but it's not terribly exciting. That's pretty much it. 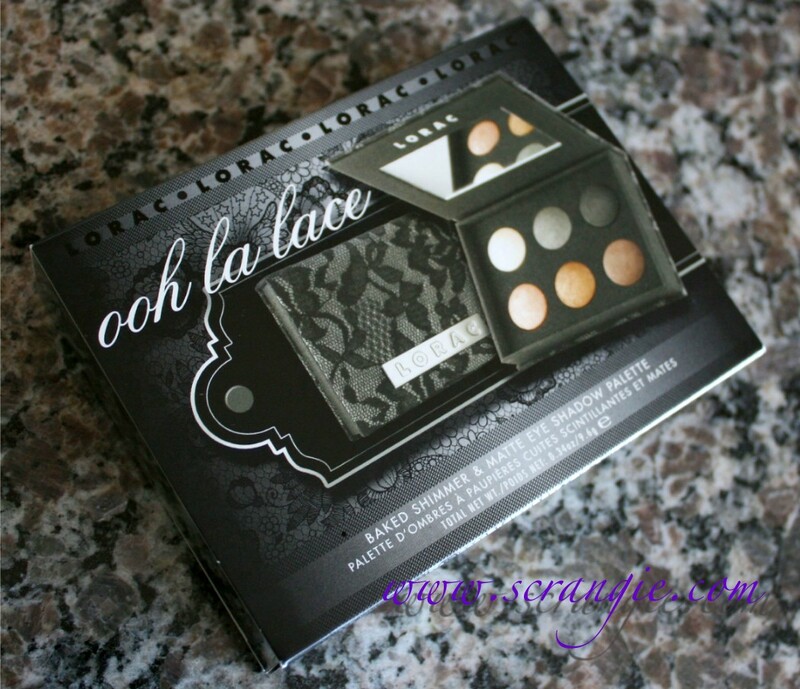 Really good palette, super pretty packaging. Having a hard time finding any flaw with it other than the predictable color selection. 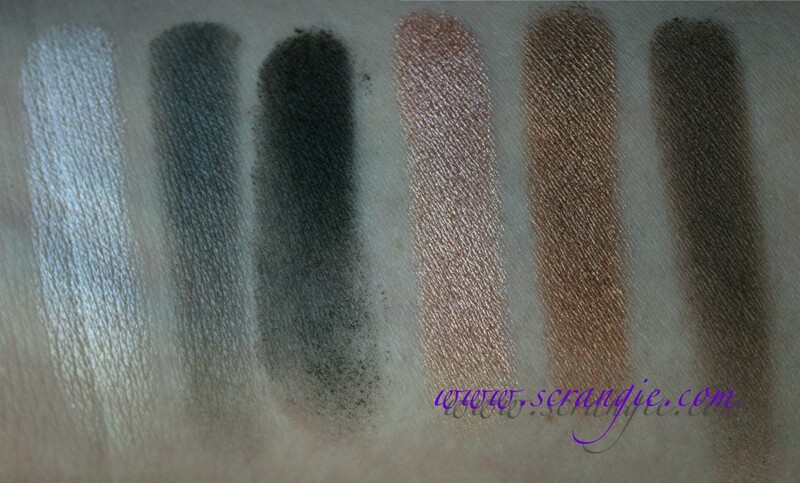 LORAC's baked shadows rock. It's $36 and is currently a Sephora exclusive. LOVE this palette. I've had it a little over a month, and one of my guy friends commented on my "bedroom eyes" the other night. Desired effect achieved. P.S. 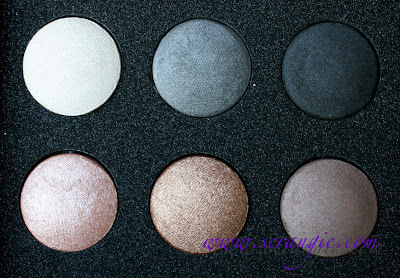 - If you didn't see it, Hautelook has individual baked shadows (all matte/satin) for $2 right now. Nothing super exciting, but I picked up a navy shade that looks awesome and some cream liner. Lorac always has some amazing looking packaging. Nice selection of shadows if you want a neutral look.